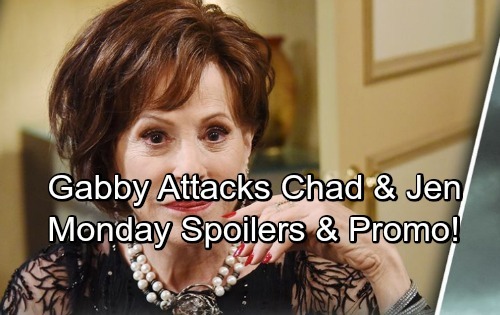 Days of Our Lives (DOOL) spoilers for Monday, April 30, tease that things will get crazy down in the DiMera bunker. 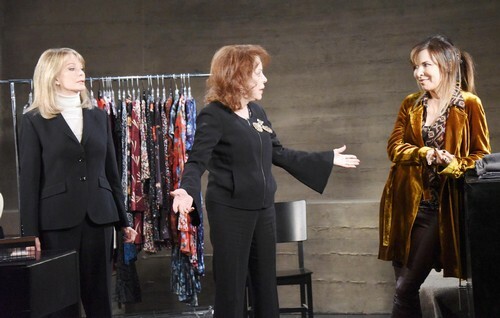 Kate (Lauren Koslow), Marlena (Deidre Hall) and Vivian (Louise Sorel) will find some booze to guzzle. It’ll be a way to ease stress, pass the time and add some humor to this DOOL storyline. Meanwhile, Days spoilers say John (Drake Hogestyn) and Paul (Christopher Sean) will discuss the case. They’ll try to think of anything that might point them in the right direction. Since John’s suspicious of Abigail (Marci Miller), he’ll think they should search the DiMera mansion for clues. That decision will pay off when they stumble across Marlena’s glasses. Unfortunately, the captives will remain trapped for now. Paul and John still won’t know exactly where to look, so the situation will become quite serious. At the police station, “Gabby” will rip into Jennifer (Melissa Reeves) and Chad (Billy Flynn). They’ll be desperate to get through to Abigail, but “Gabby” will only be focused on Stefan (Tyler Christopher). Days of Our Lives spoilers say “Gabby” will fight off Abigail and try to stick around. The good news is she’ll change her mind later this week. The bad news is Chad and Jennifer will have to deal with “Dr. Laura.” Stay tuned to watch the alter mayhem reach a stunning conclusion. Other Days spoilers state that Gabi (Camila Banus) will get crucial info. She was recently attacked in prison, so she needed emergency surgery to fix her up. Once she awakens, Rafe (Galen Gering) and JJ (Casey Moss) will be waiting to comfort her. Gabi will dread being sent back to Statesville, so their updates should bring her some relief. Of course, Gabi will also be shocked over the new Abigail developments. She’ll have trouble wrapping her head around the Stefan drama, but at least she’ll be exonerated soon. As for Abigail, her legal troubles are just getting started! It’ll take a while to sort through the facts and get to the bottom of Abigail’s DID diagnosis. Days of Our Lives spoilers say some great scenes are on the way. We’ll keep you posted as other DOOL details emerge. 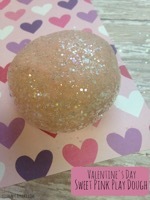 Stick with the NBC soap and don’t forget to check CDL often for the latest Days of Our Lives spoilers, updates and news. Days of Our Lives Spoilers: Is Brady Turning into Deimos 2.0?